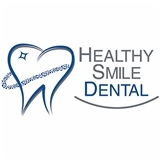 Healthy Smile Dental (Woodridge) - Book Appointment Online! Dr. Hannah Baek, Woodridge dentist, became a dentist because of her passion to improve the health, appearance, and confidence of her patients. After she completed her Bachelor of Science in Biology, she went on to earn her Doctorate in Dental Surgery from the College of Dentistry, both at the University Of Illinois at Chicago. In dental school, Dr. Baek distinguished herself by receiving awards for excellence, high achievements, and her humanitarian efforts. She became a Woodridge dentist when she opened her own practice, Healthy Smile Dental in December 2013. I have been seeing Dr. Hannah for approximately three years. Her practice is immaculate the service is perfect. Her assistants are also so helpful and professional. The is a great dentist.